This article continues on from Part 4 - Keyboard and Flashing Text. Memory read/write breakpoints - this is an incredibly useful way to find issues (see below). 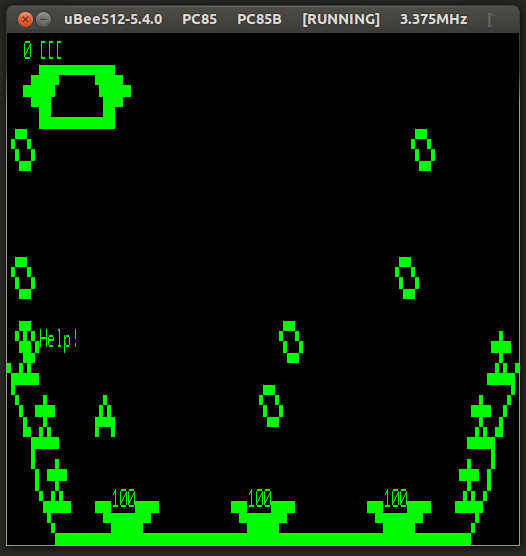 Improved the interaction between the console (where the debugger runs) and the main emulator window so that you don't need to switch back to the emulator for z80 code to execute. 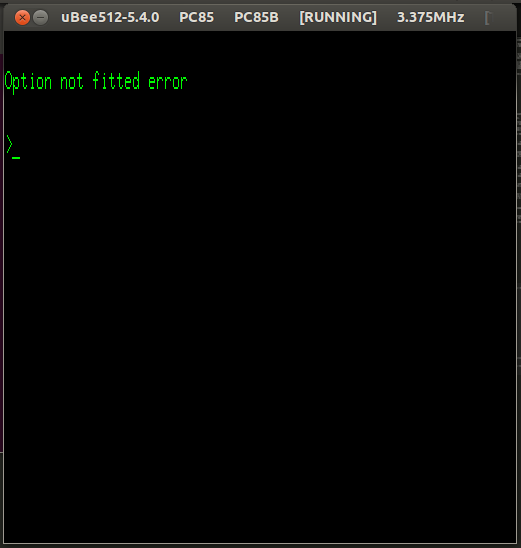 and suddenly the debugger becomes pretty powerful and much easier to use. So armed with the upgraded debugger and following my theory of tackling the simplest issues first my next goal was to fix the corrupted score indicators on the landing pads. My idea here was to calculate the memory address of the first landing pad score, and set a memory write break-point to see if I could find the code writing to it. 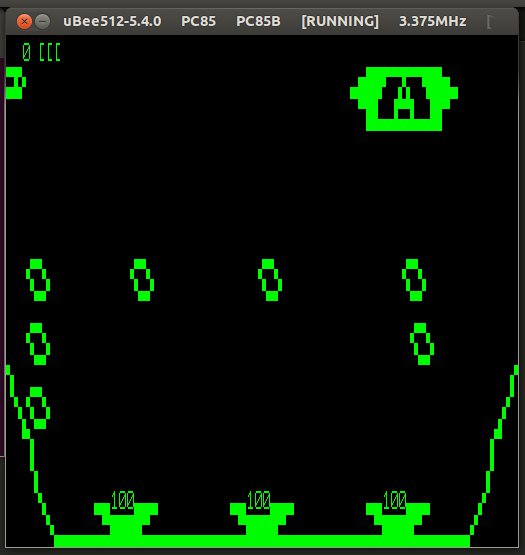 I grabbed a snap shot of the screen, loaded it into a graphics editor and calculated the character number of the score indicator - row 14, column 14 and converted it to an offset into the video frame buffer = 0xF000 + 64 * 14 + 14 = 0xF38E. The first stop looks like the background buffer getting cleared using the static buffer. The second stop looks suspicious. Going back to the ASM listing though and there it was - a memory address that I missed in the original conversion. Fixed. Ran up the game and immediately hit a break-point - after which it took about 30 seconds to trace back to another missed address. Now it's looking a lot better, with even the little men at the bottom re-appearing. In retrospect, this is a pretty powerful way to find these issues and wish I had the debugger functionality (and the idea) from the very start. In the previous article where I first addressed the keyboard port I mentioned that some of the keyboard handling I temporarily disabled. Since I now had the game basically running it was time to fix that up. In the end this was more an exercise in reverse engineering the code and re-implementing it. I now had a playable game! Hrm... I reckon that'll be those calls to the TRS80 Basic routines that I mentioned in the first article. Getting close now (I think). 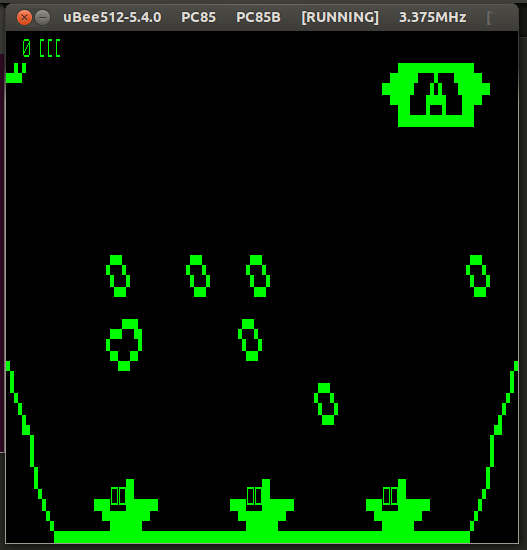 Porting Meteor Mission II to Microbee continues with Part 6 - Replacing the TRS80 ROM Basic Calls.